The cost of air travel is constantly on the rise and if you’re planning a summer vacation for a family of four or more you’re probably dreading the impact on your wallet. 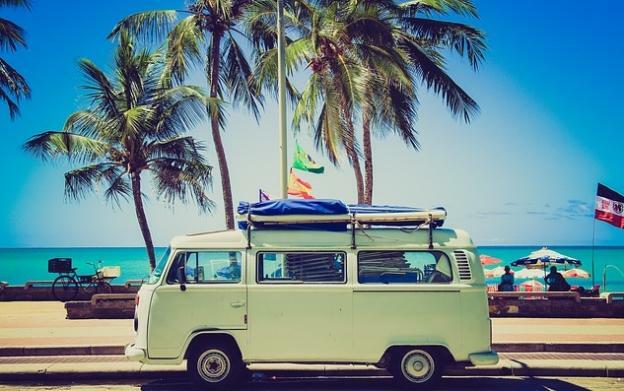 But a little bit of flexibility can go a long way towards helping you save money on summer travel. While it’s probably a bit late to grab the best deals you never know what you will find. With some airlines opting out of online booking aggregator systems, you have to do a lot more legwork (figuratively speaking) to get the lowdown on flight prices. However if you do happen to spot an unbelievably low fare at the time that you want to travel don’t wait and expect it to still be there. When you see a great fare, book it immediately because you can guarantee that by the time you get back to the site later that day it will be gone, baby gone. If you’re planning to travel towards the end of summer, then it’s not too late to book in advance. Whether it’s flights, hotels, car rental or off airport parking, early booking can save you a small fortune. Look out for deals from your travel rewards or air miles provider and be alert for coupons offering additional savings. This applies all year round. Sure, you might want to arrive at your favorite destination on a particular day at a particular time, but if you’re prepared to travel a day earlier or later or take the redeye or a late-night flight you can save a lot of money. This is especially true if you’re travelling around a holiday like the 4th of July, Labor Day or Thanksgiving. Depending on where you’re going you can also travel on the holiday date itself. You’ll still get there in time to celebrate but you could drastically reduce the cost of your ticket. As an added bonus, that gives you more money to spend when you get there. When you’re going on vacation it’s always tempting to pick the airport that is closest to your final destination. But airport landing fees often mean that fares into these airports are more expensive than the rest. While JFK and other New York airports all seem pretty pricey, outside the Big Apple you could really save. European budget airlines have used this to their advantage to offer unbelievably low fares to passengers. While American travelers don’t want to go to the lengths of being 100 miles away from their destination, using a less popular airport and hiring a car (as you probably would anyway) could result in big savings. Sharon Hurley the author of the “How to travel cheaper this Summer” is a professional writer and blogger who runs a holiday company in the USA.